1 x Large room available are in a new double brick and two storey house. Furnishings are flexible. Located in Lane Cove off Tambourine Bay Rd, with only a short walk to buses straight into the city, Macquarie Shopping Centre and Epping. Only a 5 minute walk to Coles and Lane Cove Shopping Centre. The Room is available from April 2019. Street parking available. Smoking outside only. No pets. Preferred single professional male or female. Please email, sms or call for inspection. New double brick two storey House timber floors furnished with study table and wardrobe. Also there is a big backyard with swimming pool. 3 large bedrooms all with their own en-suite. Undercover Swimspar in yard. 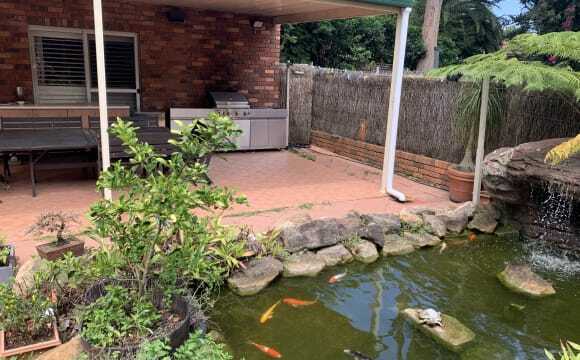 Netflix &amp; Internet; Foxtel (foxtel incures additiional fees) nice garden with water feature and BBQ Only 10 to 15 minutes walk to lane cove shops which is 15 minutes by bus to the city. Very friendly dog. We live in a quiet area, there is a 1 minute walk to the bus stop which can take you anywhere in Sydney. 10-15 minutes to the city. There is also an IGA that is a few minutes walk from our apartment. On street untimed car parking. The room is fully furnished with a queen bed, and wardrobe with a fan above. There is plenty of storage at your disposal, you would have full access to all utensils etc within the house. We have unlimited, high speed cable internet. The shower and toilet are in separate rooms, making it easier to work around having only one of each. We have our own internal laundry. About the apartment: I live in a beautiful 2 bedroom apartment in Lane Cove and am looking for someone to share this great apartment with! The apartment has open living spaces and a modern kitchen. One of the things I love about the kitchen is you can cook and talk with friends / your flatmate all at the same time. Oh and you can watch the TV whilst cooking too! Even though the apartment is on a main road, it is situated at the back of the block so is beautifully quiet. The only thing you will hear are the birds chirping in the morning! The location is super convenient with a bus stop at the top of the driveway. Buses take 15 minutes to get to the city and around 25 minutes to get to Macquarie. It's a 7 minute walk to the Lane Cove shopping area where there are a great selection of cafes, shops and a couple of large supermarkets to choose from. There is also an undercover car spot. I don't have a car so it's all yours if you want it :-) About the room: BEST ROOM OF THE HOUSE! Lovely LARGE! master bedroom at 3.1 x 4.8 metres. The bedroom also has very large built in wardrobe with shelves and hanging space, so plenty of space for both clothes and other things you may want to store. It also has a lovely leafy outlook. The floors are carpeted and it is just across the hall from the bathroom which is shared with one other person (me!). Internet is included, however I have just moved in so it is in the process of being setup. At the moment the bedroom is furnished, so all you need to do is move in. But if you have your own furniture, I am happy to move mine out! Room is available for 3 months for now, with possibility of extension. Hi there! and welcome to my top floor apartment filled with sunshine and laughter. This two bedroom apartment is located on the top floor of a three story block. It has a shared bathroom with a newly renovated kitchen and living area (which has air conditioning!). Your 3.8 x3m bedroom is also newly renovated with a fresh lick of paint, new soft under foot carpet (the best feeling!) and a generous sized built in wardrobe! The bedroom has a window and remote control ceiling fan. The apartment is super central located on Epping Rd with a bus stop a 2min walk away (if that) with frequent buses to the CBD and North Sydney. Lane Cove village is approx. a 7min stroll up the road so a drink at the Longy, quick work out at the gym or a grocery shop is never too far away! Internet is included with rent. Electricity and water will be split between us. The apartment comes fully furnished apart from your bedroom. Are you looking for a spacious bedroom and a huge wardrobe and your own bathroom? You don’t need to look anymore. I am looking for a quiet and tidy FEMALE student/professional to rent our spare bedroom. I am a busy single mother of an 8 years old daughter. Looking for someone responsible and respectful to share with us. Single bedroom with your own bathroom ( en-suite ), TV, build a wardrobe and unlimited internet. 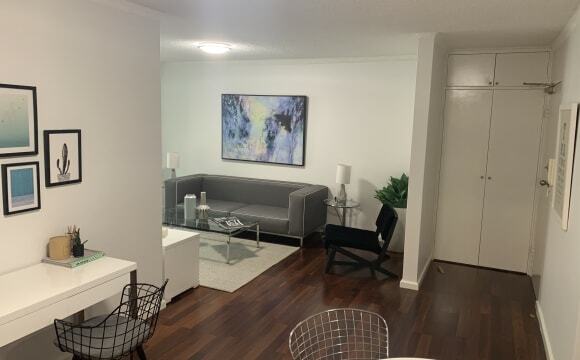 ( great space) Excellent location, a small block of apartments with a bus stop right outside to Macquarie University, Chatswood Train Station and City CBD. Three minutes walking to Lane Cove Shops. No smokers. Minimum stay 3 months. Must have references. I look forward to hearing from you. I have just moved to this beautiful townhouse, with huge bedrooms, very spacious, has study room as well. There is a small front yard and also back yard, where you can relax and do bbq. It has a lot of storage space. There is also a swimming pool that can be used by people living in this complex. 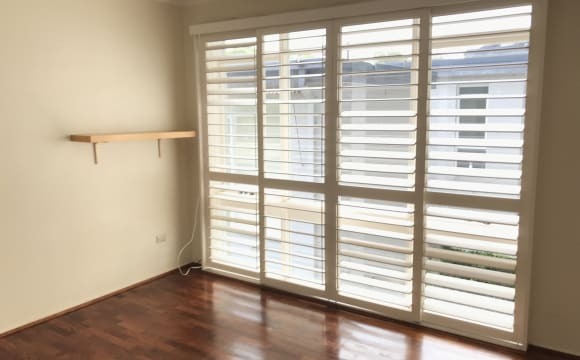 This townhouse is located in a quite corner of Lane Cove village with a lot of trees and birds around and at the same time very close to direct bus to CBD and all the restaurants and coffees that Lane Cove village can offer. Its quiet, tranquil and safe. Very close to bus stop. This is a beautiful 3 bedroom 2 full bathroom cottage house that has just been newly renovated!! The house has huge character and lovely new wool carpets, freshly painted walls, and a brand new bathroom installed just for your pleasure! This treasure of a house is sitting on a lovely block of land with beautiful fruit trees and a vegetable patch to come! Wonderfully covered patio for outdoor entertainment and to enjoy the long summer nights. Fully fenced and wonderful neighbourhood, you are literally 2 mins walk to an IGA, fresh coffee and shops. Access to bus is 2 mins walk as well, this is city living without the matchbox that you get in apartments. The house gets the morning and afternoon sun, has a brand new air conditioning unit and is in the process of being decked out with designer furniture. Your room comes fully furnished too. Modern, clean, 3-bedroom luxury apartment with balconies and water views. Furnished private room with queen-sized bed, bookshelf, &amp; built-in wardrobe. The apartment has a dishwasher, TV, bbq, and in-cupboard laundry with a washing machine &amp; dryer. There is street parking nearby. Close to local cafes, but also 10 min by bus/car to Lane Cove Shopping Village where there are grocery stores, restaurants &amp; more cafes. 2 min walk to bus stop (Cope St, Route 251 &amp; 252) with buses to the city, and another bus stop outside the front (Route 536). 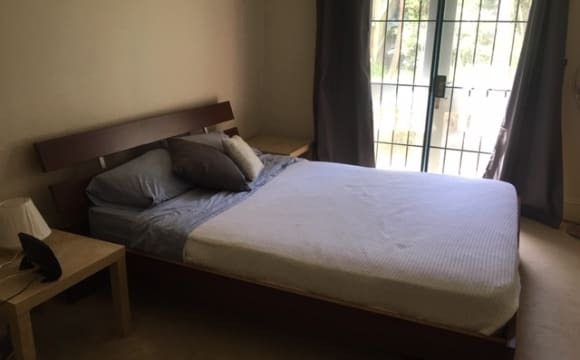 Fully furnished private double room available for 1 or 2 people (note 2 people is extra rent). Unlimited internet included with Netflix &amp; Stan access. Location Location Location! CBD in 20 minutes! 10 minutes from Lane Cove Shop. The room is 5.7M by 3M and can be furnished or unfurnished. It has air conditioning. The toilet and shower is new and clean. The garden space is awesome. The house is located on a very quiet street. Rooms are spacious, and housemates are all full-time professionals, very quiet and clean. Offering for rent a room in a great two bedroom apartment. Great location, close to everything you need - Artarmon train station, bus stops at lane cove and if you’re driving - close to west, centre and close most beaches. The place won’t have same furniture as on the pictures and your room will be unfurnished. You might have noticed that there’s no in-built wardrobe yet in your room, that will be sorted fairly soon. Just to confirm - the place has the fridge + dishwasher + aircon. Hey there! We’re looking for someone to share our spacious 2-bedroom 2-bathroom apartment in Artarmon with (males only). Apartment features: - your own room with built-in wardrobe and balcony; - private bathroom with shower cabin; - large kitchen with fridge, gas oven with grilling function and microwave; - spacious living area; - separate laundry with a new washing machine and a dryer; - pool with jacuzzi, sauna, gym, games room and meeting room downstairs; -parking lot is available for extra $20 per week Your room and bathroom are separated from ours by large living area and kitchen. As we use only a small part of the living area as a dining place, you’ll be able to bring your furniture such as shelves/couch etc here, if you wish. 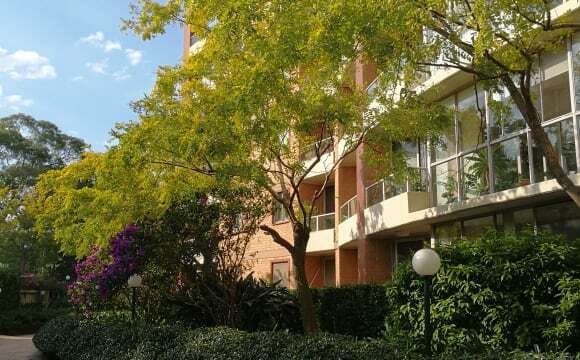 Location features: - 7-min walk to Lane Cove Interchange, where there are regular buses to the City or to Macquarie University / Epping / The Hills; - 13-min walk to Artarmon train station; - buses that stop just near the building can take you to St. Leonards / Crows Nest/ Manly Beach / Bondi Junction; - cross the road and hop on a bus to Chatswood - only a 10-15 min drive to the City or 5-min to Chatswood. About living here: - secure apartment complex with nice building managers :-) - unlimited wireless internet (NBN - super fast!) - extra and split 50/50 each month; - bills for electricity/gas are extra &amp; are split 50/50; - bills for water are included. The apartment is well located in an iconic building, easy access to all amenities. 6 min walk to city express bus (10 min to city), 12 min walk to Artarmon station, bus to Chatswood and St Leonards at door. 10 min to Lane Cove centre. Very clean and comfortable apartment with floor boards in the furnished living and dinning room. The apartment is very bright and quiet, facing the lovely garden. It has secured lift access, building manager on site with good security. It has been owner occupied. The complex has facilities including indoor swimming pool, spa, sauna, gym, and a beautiful garden in the secured complex. 5 minutes walk to pacific highway. 11 minutes walk to main bus station. 15 minutes walk to lane cove market. Private room with own bathroom in Artarmon. The room has a double bed with quilt, quilt cover, fitted sheet and pillows. It has own wardrobe and carpet. It has view to the swimming pool which is possible to use because is part of the building. The bathroom is big and has bath and shower. It is perfect for students, single person, couple or two friends. Parking is possible on the street. We have unlimited internet and is included in the rent. Water, energy and gas bills are also included. The rent is $300 p/w single or $380 p/w couple/friends. Artarmon station is 8-10 min walking and buses at 2 min. The apartment has laundry, living room, kitchen, two balconies and two bedrooms/bathrooms. Full furnished with new fridge, washing machine, TV (with Netflix), among others. * We have a private car parking, let us know if you need it. 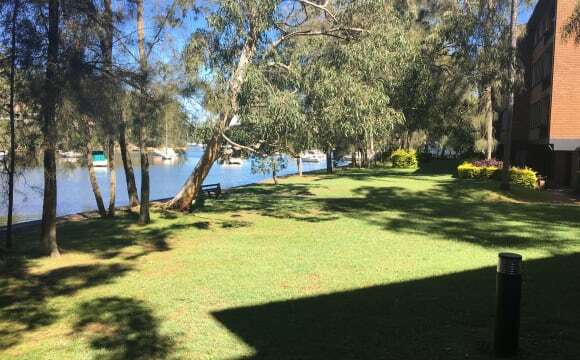 Spacious apartment right on the lane cove river, with 180 degree water views. There is also a massive park out the front, as well as some great bushwalks. The room is in a great position, with its own balcony directly facing the water (great view). The room also has a large built in wardrobe. The kitchen already has a new fridge, plus other appliances. The apartment has a massive living room which is well furnished with a new TV. The bathroom has been newly renovated and the apartment also has a new washing machine in the laundry. The complex also has its own private pool, sauna and squash court. There is a bus stop directly out the front on the main road. Please give me a call if you have any questions! Would suit working professionals or later year university students. REDUCED PRICE. Cheap for the area. Close to Macquarie University. Private bedroom. Seperate laundry, bathroom has a bath, big back yard with veggies in it. Off street parking. House dog is called Sam and the cat is Piper. So you kind of need to love animals. Netflix, PS4 &amp; Stan. We all live healthy active lives and take our careers seriously, but still love a few drinks and cook up with friends. Beautiful quiet area opposite Lane Cove National Park. My place is very comfy and relax. reasonable new, close to train and handy to walk to places , buses right at the front door. 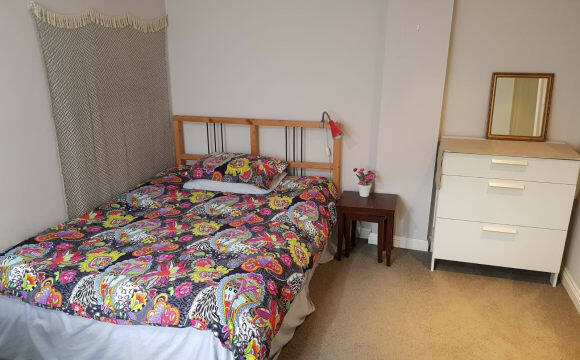 3 x Private lockable siding door access of large furnished rooms with either double queen bed, bedside table, large wardrobes, table &amp; chairs, fridge &amp; microwave. Shared bush outlook courtyard, laundry, extra freezer &amp; extra cooking facilities. Electricity &amp; water included in rent. Minimum rental 3 months. Rent paid in advance with 2 weeks bond Bus stop at front of property. 7 min to Crows Nest, 15 min to Nth Syd &amp; 25 min bus ride to City Greenwich Hospital, 500 metres (5-7 min walk) RNS Hospital, 4 min drive or 25 min walk Golf course &amp; tennis across the road What am I looking for in each room? I would like someone who is a non-smoker. Pays their rent on time. People who are considerate of others in the home keeping any communal areas clean after themselves. House is an 2 storey townhouse with 4 bedrooms or 4 separate living spaces. Master suite $340 pw for one person. For a couple $390 pw. Queen bed with private ensuite. Room 1 $290 pw leased to one person only. Double bed with shared bathroom. 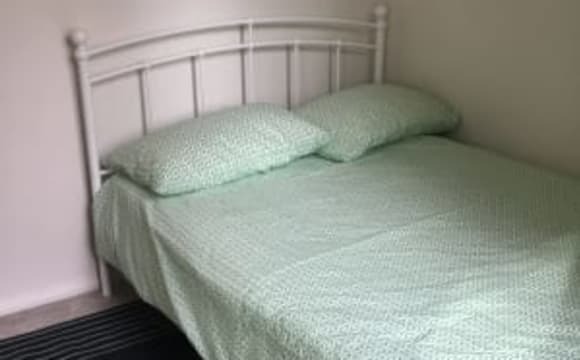 Room 2 $270 pw leased to one person only. Queen bed with shared bathroom. Room 1 &amp; 2 have connecting lockable hallway to bathroom which can be left unlock for a couple or friends to intermingle between their rooms in private or not. 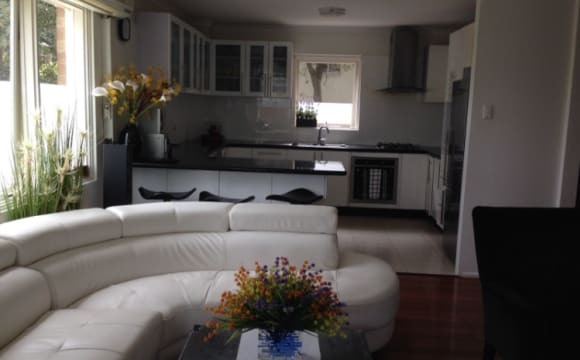 Description of the home The apartment is located in Artarmon, 200m from the train station and shops, allowing for the ultimate convenience for any working professional. That apartment block has a pool and a BBQ area set in a private surround. Lift access and visitor parking. Internal laundry with washer and dryer. The apartment is furnished, but there is plenty of room for any of your own furniture. The apartment block is quiet and peaceful by day and night, even with the train station nearby. The apartment block has secure access and also security cameras in all external and common internal areas. On your walk home from the train station is a dry cleaner, green grocer, chicken shop, hair dresser, various other food outlets and amazing cafes with great coffee. Everything you could need is in the local village strip such as, chemist, florist, chiropractor, bank, dentist and the list goes on. If you drive, there is quick access to the motorway in both directions from Reserve Rd. The drive to Manly beach is 22mins on average in the early morning, or Balmoral beach is even closer. Artarmon Reserve and cycle track is nearby as well as other parks and playing fields. 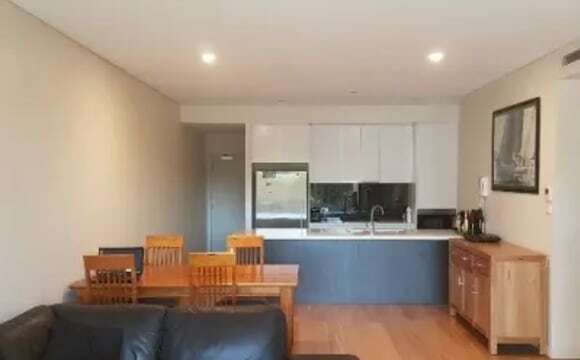 Walking distance to Chatswood shops or one quick train stop. Not more than One person in each room allowed to avoid over crowding. This place is very sunny and airy. You will enjoy sun bath in lounge room with great view from balcony. It is in handy location, newly renovated fully, all bamboo floor, in built cupboard, study table, fully furnished, off street car parking (under cover car park in extra cost if you need) . 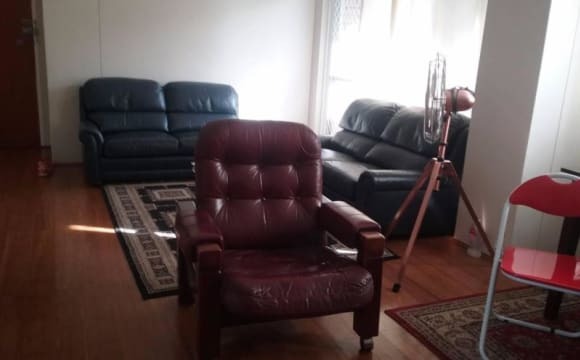 The apartment is close to the station, easy to maintain, in an awesome location close to the city but still in a nice north shore area. The bathroom and kitchen were renovated a year ago, so are in really nice condition. The apartment is fully furnished, with equipment in the kitchen. The room has a double bed, clothes hanger and bedside table. Feel free to bring any of your own stuff too.